Board the newly commissioned “Salish Sea Dream” boat in downtown Vancouver for a four-hour whale watching experience in search of local marine wildlife. Dock in Victoria’s Inner Harbour and be amazed with British Columbia’s capital city. Rich with art, history and architecture there is plenty to see and do while exploring Victoria. Visit the world-renowned Butchart Gardens where the flowers are in bloom year round. Discover its numerous fountains, themed garden displays and the breathtaking Sunken Gardens. Conclude your day of exploration with a return ferry sailing to Vancouver. Board the Prince of Whales “Salish Sea Dream” departing from downtown Vancouver for a 4-hour experience with a Marine Naturalist. View rugged island coastlines, admire the Gulf Islands and keep your eyes peeled for resident orca whales, eagles and seals. 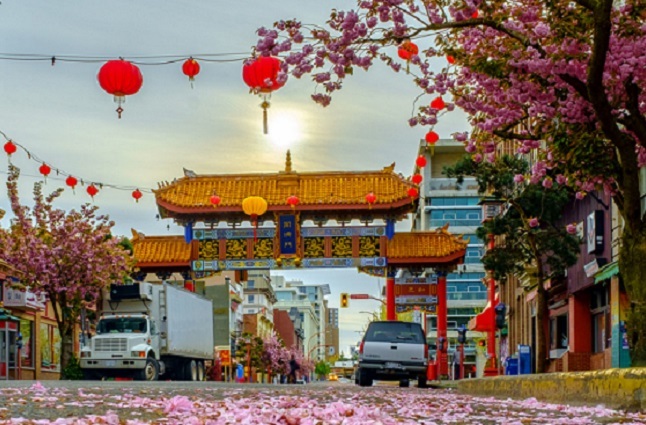 Spend some time in Victoria’s Inner Harbour, where you will have time to explore artistic totem poles, museums, boutique shops. Visit the Fairmont Empress hotel and view the iconic Legislative Buildings. Join your guide later that afternoon and board a bus. Your next stop will be a visit to the flawless Butchart Gardens. Due to its mild climate the gardens are in bloom year round. Stroll along the meandering paths and view the impressive Sunken Garden. Your tour concludes with a relaxing return sailing aboard BC Ferries. Take in the sea breeze from the deck or enjoy the views from your warm seat inside the ferry. Don’t forget your camera for this grand adventure! Book your Whale Watching, Victoria & Butchart Gardens Tour with Alpine North Limousines Today!